International non-profit marine conservation organization Sea Shepherd launches with agency FF New York an awareness campaign to bring attention to the overwhelming plastic pollution of the ocean. 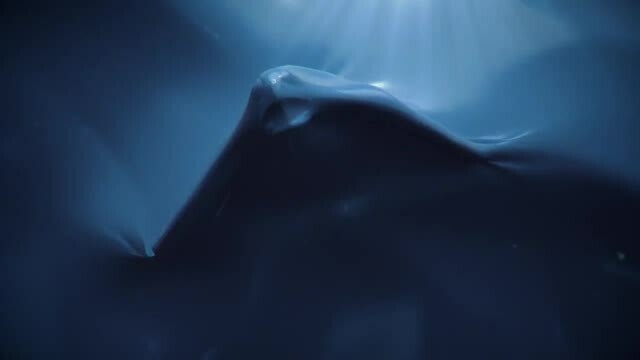 The “Plastic Ocean” campaign includes this video directed by Geoff Bailey of Alkemy X which is dreamlike and colorful at first glance but highlights the plight of sea animals trapped in plastic waste. Various sea animals, including a dolphin and a shark, try to break through the surface of a plastic sea but to no avail. All we see are their shapes encased in plastic, unable to emerge from the ocean. Entitled “Stop The Plastic Ocean,” the fully CG-animated piece is a heart-wrenching depiction of how plastic debris traumatically affects our marine wildlife, revealing that every year more than 1 million animals die from these man-made pollutants.